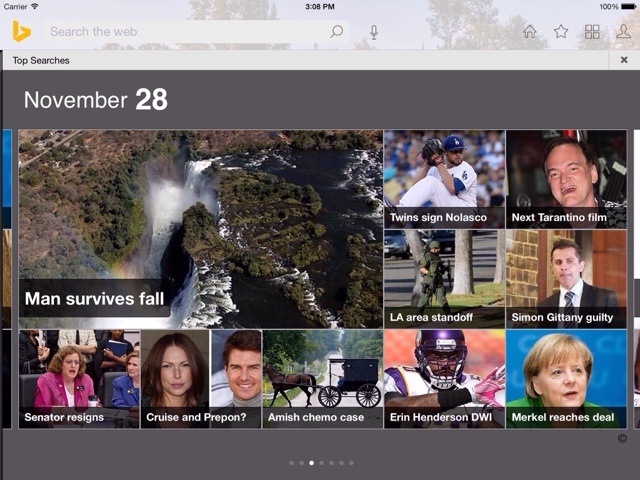 Bing for iPad has received a major update today, bringing an entirely new "cleaner, simpler" look for iOS 7. In addition, users can now access bookmarks and images via SkyDrive as well as share search results to Facebook, Twitter and more. Users can also earn Bing Rewards credits for searches. 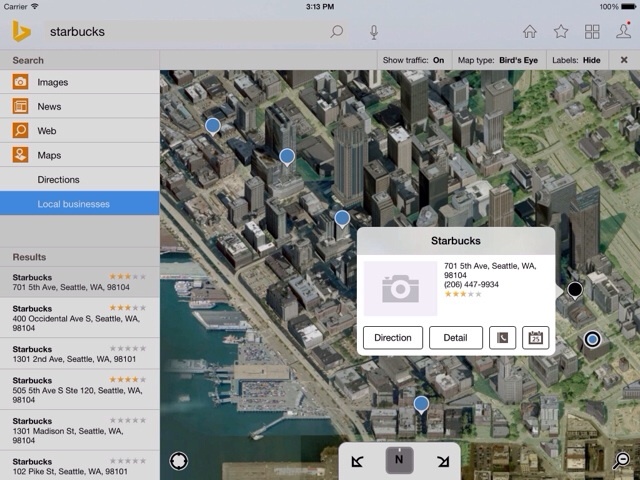 Search results for Maps have been improved as well. Check below for the entire list of changes! 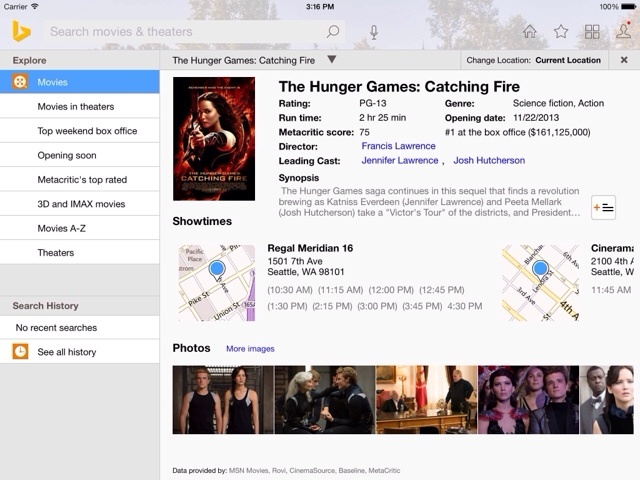 Experience search that is truly designed for the iPad. 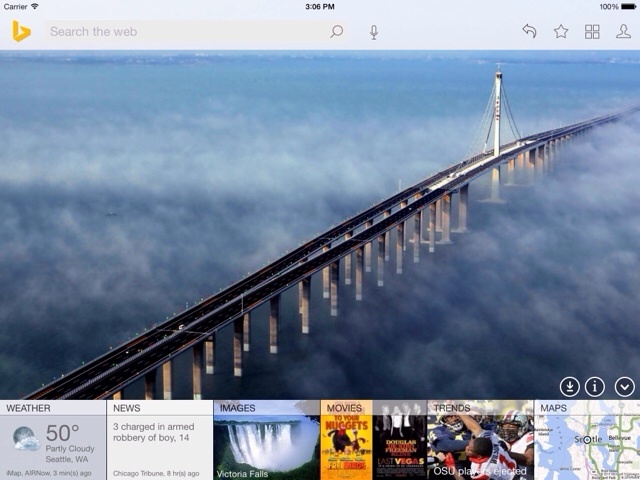 Bing for iPad is here. Bing for iPad app is a search engine designed to work beautifully with your iPad. It brings you closer to what you’re looking for by delivering a visually rich, touch-enabled way to search and browse news, movies, Bing homepage images, local businesses, popular searches and much more. • Stay current with the latest news, traffic, weather, stock quotes, movies, trending images, and popular searches from the main screen. • Browse our latest trending images in full page view with a fingertip swipe. •A cleaner, simpler UI for iOS 7. •Save the daily image to use as wallpaper. •Save bookmarks and images and access them via SkyDrive. •Share what you find on Facebook, Twitter, and more. •Earn Bing Rewards credits for your web searches. •Updated Bing logo and color palette. •Gift Finder – Find appropriate gift ideas for family and friends. You can download Bing for iPad from the App Store for free.